1/2 tablespoon vegan salted caramel (or your favorite salted caramel or favorite flavor like peanut butter, chocolate spread or Nutella. 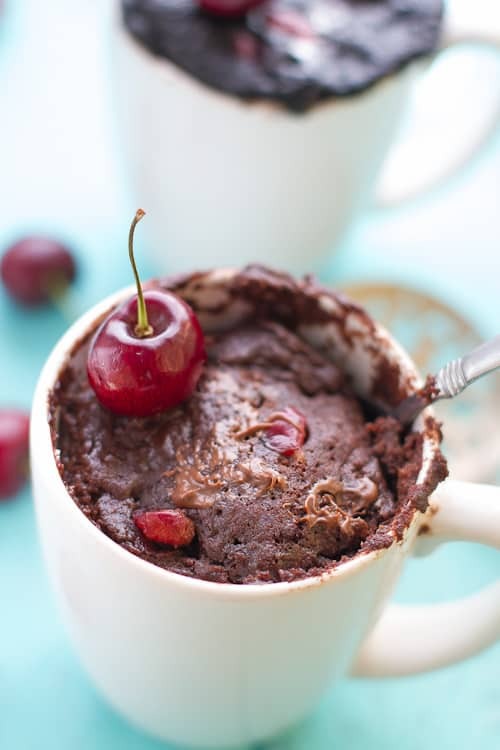 ***In a medium bowl, whisk together the flour, cocoa powder, baking powder, sugar and salt until combined. 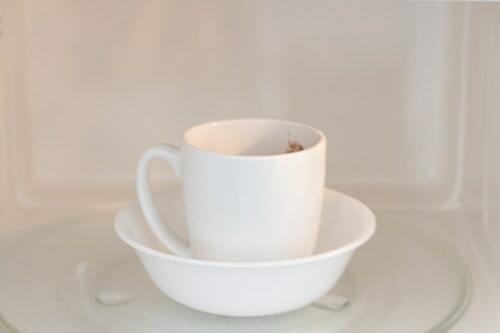 **Place mug on a small plate or wide bowl (in case of spillage) and microwave on high for 70 seconds. Check on cake to see that it's done. (You may need to microwave for less or an additional 5-10 seconds depending on how powerful your microwave is). Allow mug to rest for about 30 seconds before removing from the microwave. **The cooking times may vary according to your microwave power. Watch carefully and add or decrease the time as needed.